As the title implies some games that are capped at 30fps only run at 25fps max. In other words it acts like 25fps is the capped limit instead of 30. The only 30fps capped games I have played are Skies of Arcadia, The Last Story and Xenoblade Chronicles. Skies runs at a max of 25fps no matter what the settings are same with The Last Story but Xenoblade runs at 30 no matter the settings. IN the first 2 I mentioned I never seen it go above 25 once no 26fps or nothing acts like 25fps is the limit instead of 30. I have no idea why this is as is why I am asking about it here. I Hope someone can give me an answer to this. The 25fps games are PAL games. The vast majority of standard-def PAL TVs only run at 50hz, as opposed to an NTSC TV's 60hz, so games that would be capped at 30fps on a 60hz TV would be capped at 25fps on a 50hz TV. MekMek, that's totally off-topic. Use the IRC channel if you want to connect with people interested in Netplay. @OP it should be easy enough to tell if your games are PAL. The little flag icon will be different in Dolphin next to the game. I think it's a blue flag with a circle of stars or something like that. NTSC-U games are the USA flag, and NTSC-J games are the Japanese flag. Hmm thats interesting... Why would a 50 hz TV play a game at a max of 25FPS? I mean its capable of playing up to 50fps on 50hz. So why do PAL versions only go up to a max of 25fps on a 30fps game? This does not make sense to me. Also the Last story and Xenoblade are both the US versions of the game. Skies on the other hand is not. I found out the problem. The version I was currently using was doing it. When I downloaded the latest (revision?) version of the emulator it now goes up to 30fps with the Last Story. The games probably run at half the maximum because it's easier to do so on real hardware. 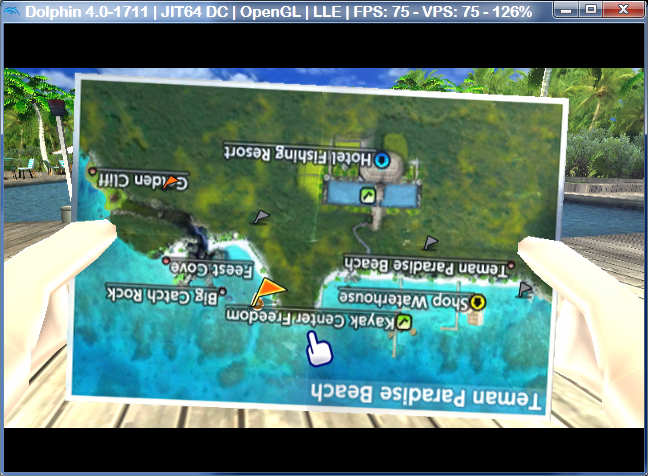 I'm pretty sure TLS had noticable slowdowns even on the real Wii, can't imagine how it'd do at 60 or 50 FPS. The same might be true of others like it. Only the devs of the original games know for sure though. Also, what FPS do you get if you manually set it to 30 or set Framelimit to Off? The Last Story:is about the same as auto settings but auto runs just a bit better. Quote: So why do PAL versions only go up to a max of 25fps on a 30fps game? Well it's not that the game is supposed to run at 30 FPS specifically, it's supposed to run half of whatever the intended picture frequency is. PAL is 50 Hz, so half of that is 25, NTSC is 60 Hz, so half of that is 30. For PAL, going to 30 FPS would on those type of games would be going too fast. Please explain? How would 5fps more be going to fast? If the US has 30fps PAL is able to as well. 50hz means it can handle 50fps. So why cap it at half? Whats the reasoning behind this? Who thought this up? I just explained that; it's probably capped at half because those games would be too demanding on real GC/Wii hardware. That the PAL standard was designed with a picture frequency of 50Hz does not mean every game can handle 50 FPS. Again, playing The Last Story on a real Wii gives you slowdowns during intense fight scenes; it'd hardly do any better doubling the FPS to match the maximum picture frequency. Console games most often have what's called frame dependent motion; essentially, the game speed and FPS are linked. Contrast this with modern PC games with frame independent motion; they can have variable frame rates while maintaining the same game speed. Google the game programming concepts if you need a better idea (or use the forum search, I explained it pretty well a while ago somewhere). The PAL games hardcoded to run at 25 FPS will have their game speed raised 20% if you set the FPS to 30; they aren't meant to go higher.